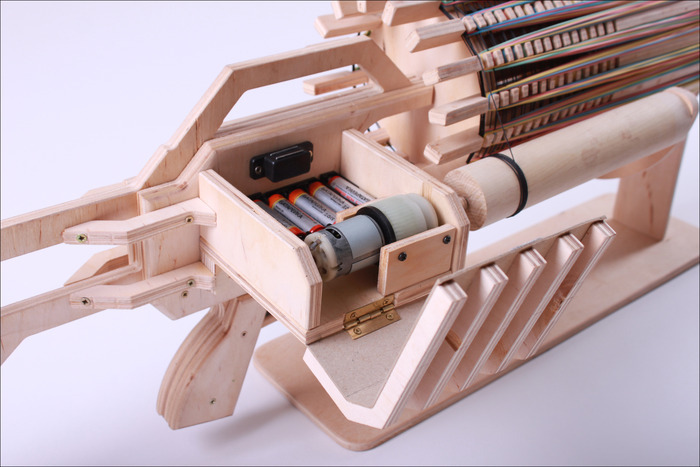 The Rubber Band Machine Gun Kickstarter asked for just $5,000, but is now closing in on $100,000. 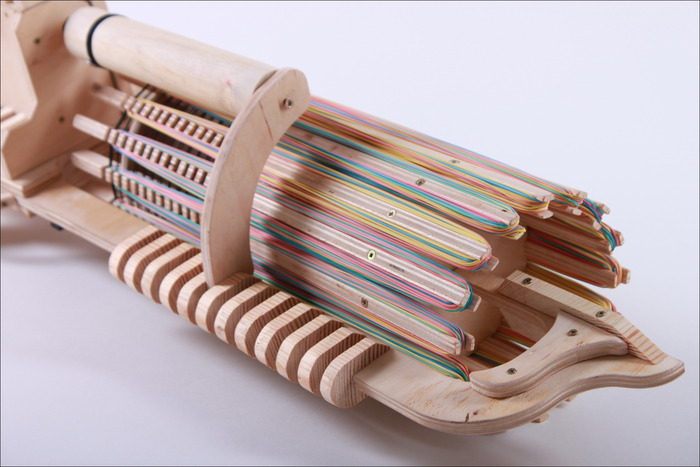 At one point in every kid's life, we made a rubber band gun. 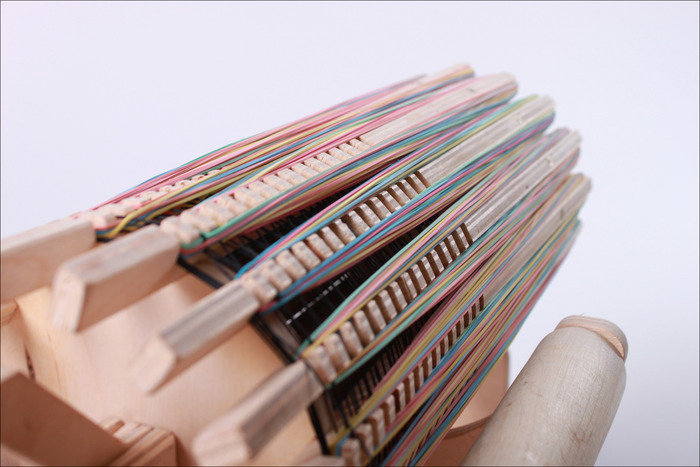 Whether out of pens, or popsicle sticks, or toothpicks, we all had that desire to shoot rubber bands very quickly at the back of our classmate's necks. 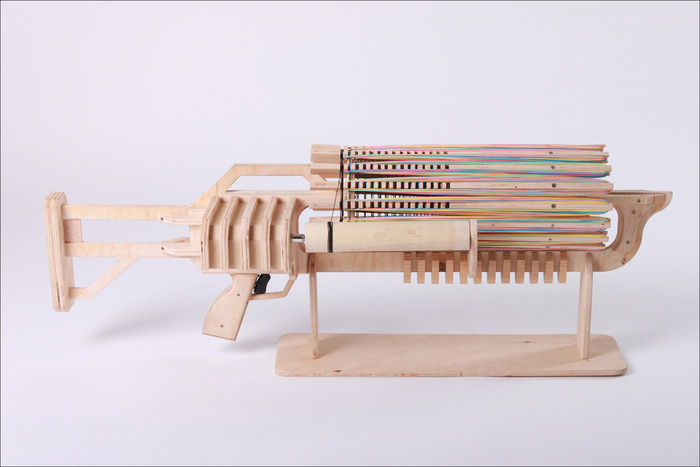 Alex Shpetniy is a kid that never grew up, designing a rubber band gun so incredible that it brought tears of joy to my inner 12-year-old. 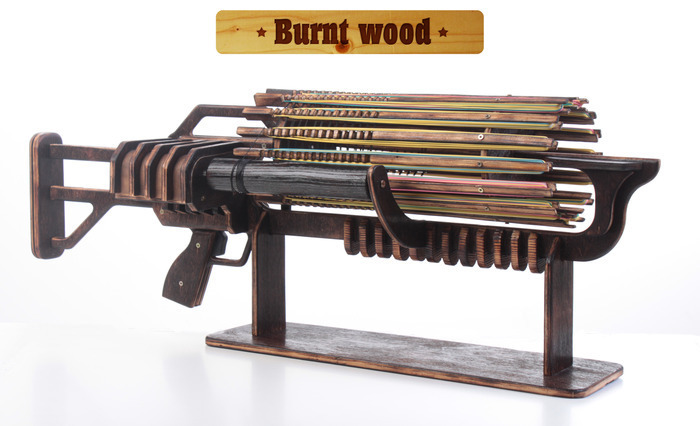 Introducing the Rubber Band Machine Gun, a monstrosity of wood and rubber. 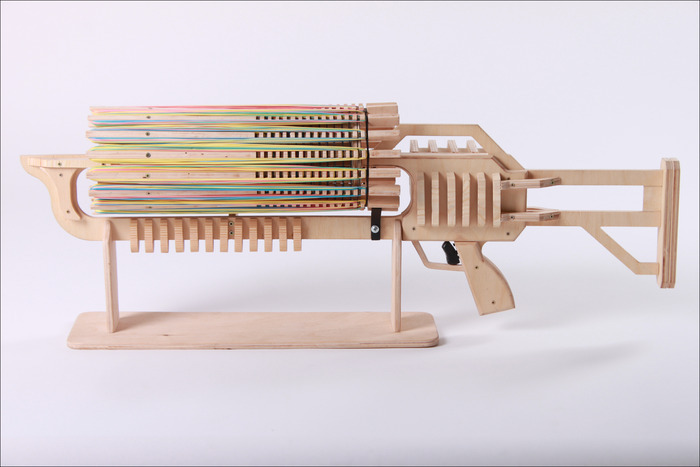 With a capacity of 672 rubber bands, this baby fires 14 rubber bands per second, has a range of of 26 feet and comes in four different designs. 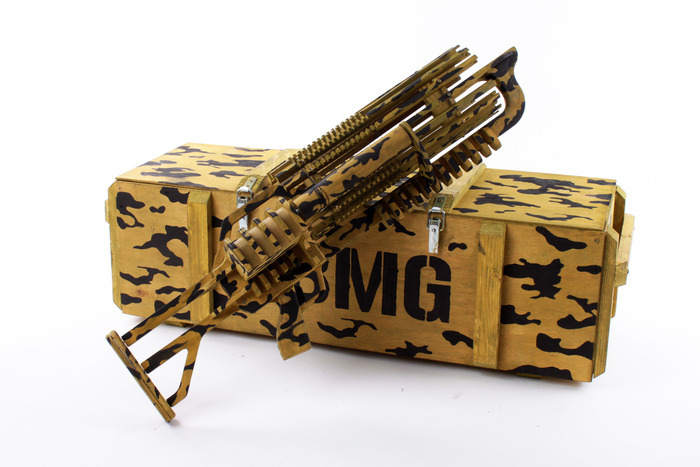 "With my Rubber Band Machine Gun (or RBMG) everyone can feel like Rambo, launching a rubber storm, and throwing over a pound of rubber bands into the opponent!" says Shpetniy, who is from the Ukraine (where else?) 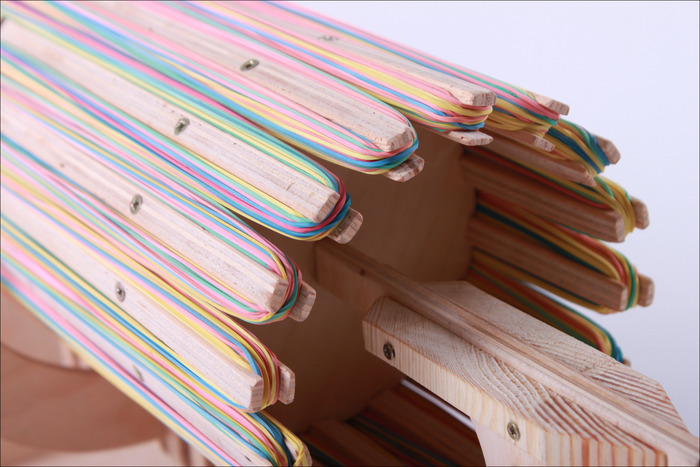 His Kickstarter camapaign asked for a mere $5,000, but is now closing in on $100,000. 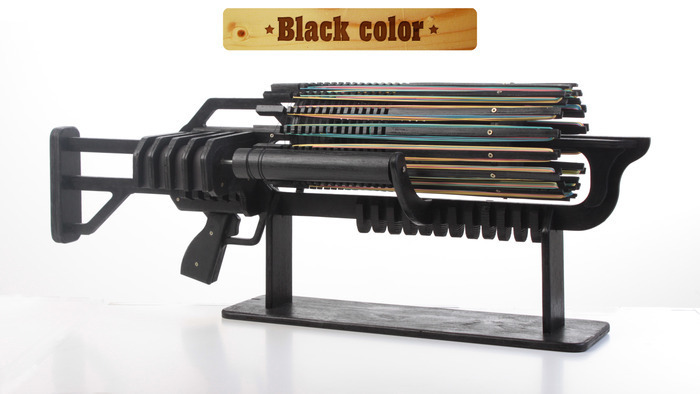 For those of you smart-alecks about to comment on how long it must take to reload this beast, Shpetniy has you covered. 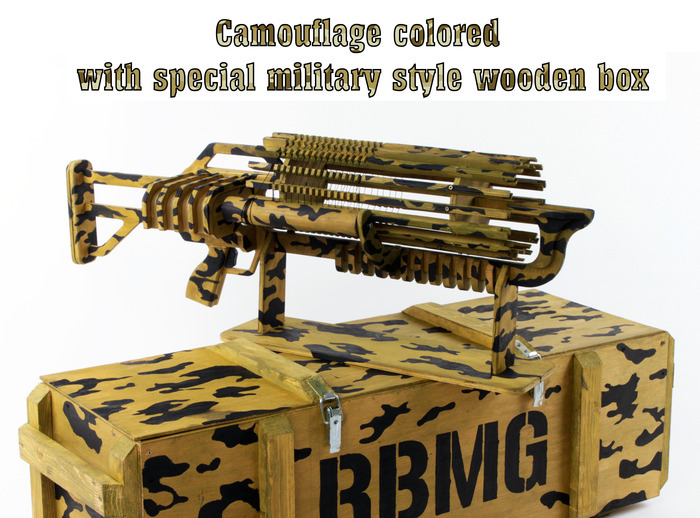 The RBMG comes with a unique "fast reload" system, which you can check out in action in this video. 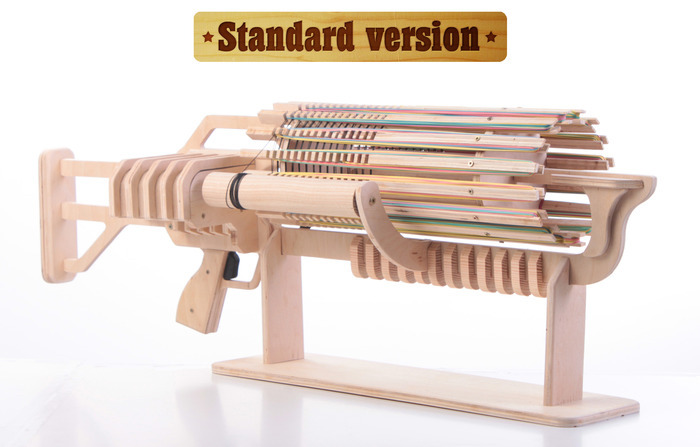 If the Rubber Band Machine Gun is something you absolutely must have, you can purchase one on the Kickstarter page for just $95 + $30 shipping, or $110 + $30 shipping with the fast reload system.